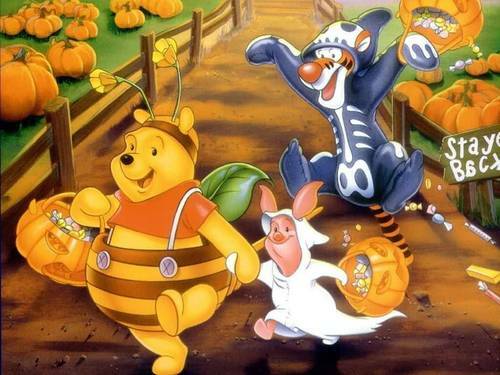 Pooh Halloween. . HD Wallpaper and background images in the Halloween club tagged: winne the pooh halloween tigger piglet wallpaper. Winne the pooh bear yea! i love thisw pic so much i've always loved winne the Pooh Bear and the gang my whole life!!!!!!!!!!!!!!!!! !